Characteristics: Golden-brown colour from fucoxanthin masking chlorophylls a and c; beta-carotene; various xanthophylls and oils. Each cell is enclosed in a unique type of siliceous cell wall which takes the form of a box with an overlapping lid. Diatoms are unicellular or colonial coccoid algae belonging to the Kingdom Chromista, Phylum Bacillariophyta. Most are aquatic, occurring in the sea or in freshwater, but some occur on damp soil, mosses, trees or rocks. A considerable portion of marine and freshwater phytoplankton consists of diatoms and in temperate oceans where there is upwelling bringing nutrients to the surface they are responsible for the very high primary productivity. Diatoms have silica cell walls, and these fit together like a Petri-dish or pill box and when diatoms reproduce the "lid" and the "dish" separate and each forms a new "dish" and thus a diatom population will tend to get smaller with repeated cell divisions. The "normal" size is eventually restored by sexual reproduction. Dead diatoms accumulating under such high-productivity areas form diatom oozes. Geological deposits derived from such oozes, mainly Tertiary in origin, are now mined as diatomite or diatomaceous earth used for water filtration, in toothpastes (as a mild abrasive) and in deodorants and decolouring agents. 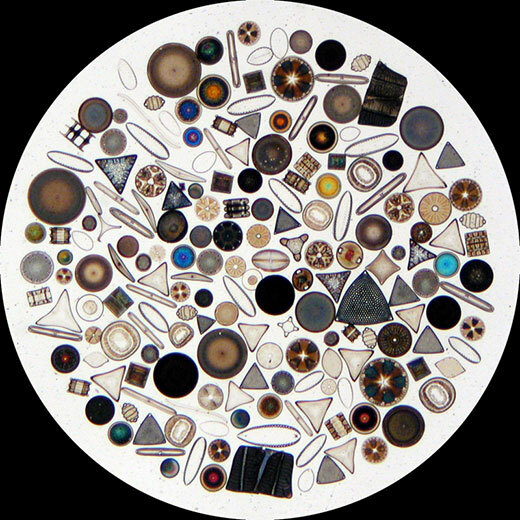 Diatoms in lungs are often used by forensic scientists as an indication of drowning and the types of diatoms can reliably show where drowning took place. It is estimated that the total primary production on earth is Ebout 1.4 x 10^14 kg C of which 20-25% is probably contributed by marine planktonic diatoms and a further 15-20% by other plantktonic algae. These algae are thus critical for the ecosphere integregity of our planet. Because the siliceous wall is so well preserved the diatoms have an extensive fossil record, more extensive than any other group of algae, and can be used to determine whether deposits have a marine or freshwater origin. The oldest confirmed fossil diatoms date from the Lower Cretaceous (125 million years ago) and were marine. 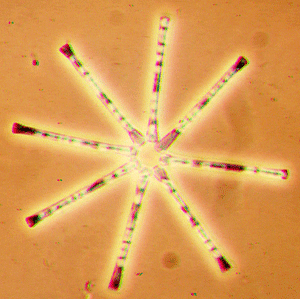 Diatoms have recently been shown to have a "urea cycle" previously thought to be unique to animals, but this seems to have evolved separately. There are two types of diatom: centric and pennate. Centric diatoms are radially symmetrical and pennate diatoms are bilaterally symmetrical. There are about 750 genera of living diatoms in three classes and currently about 15,000 described species, by far the most numerous group of algae. There are varying opinions as to the numbers of diatom species, some authors speaking of 20,000, some of 200,000, and some of in excess of 1,000,000 species. At least 62,000 names have to date been applied to diatoms. Site © M.D. Guiry 2000 - 2019. 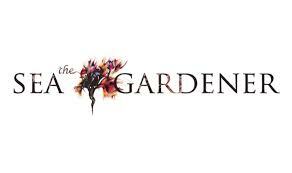 Important copyright notice: all text, design and photographs on this site are copyrighted by M.D. Guiry unless otherwise stated and all rights are strictly reserved. Click here for copyright information and contact. Website design: 249 Design Studio. Site maintained by M.D. Guiry (michael.guiry@nuigalway.ie). There have been 8724610 page loads since 1 January 2014 on 22 April 2019.